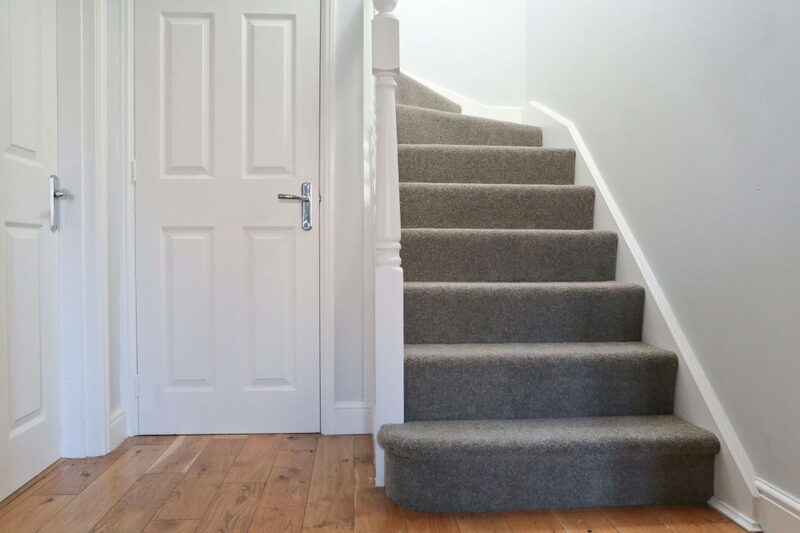 Choosing the right carpet isn’t just about picking your favourite colours & patterns, especially if you’re choosing carpets for high traffic areas like your hall, stairs and landing. That’s something I’ve learned from bitter experience as we have recently replaced the threadbare carpet on our stairs for the third time in ten years. Third time around I really wanted to find a carpet that would last and cope with the pounding four pairs of busy feet would give it each day. That’s why I jumped at the chance to work with United Carpets & Beds. 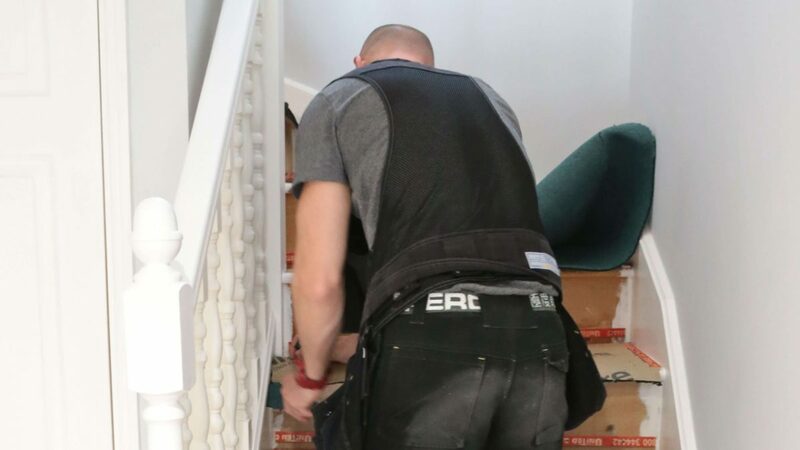 Not only did they offer to help me choose a durable and hard-wearing carpet and underlay for my stairs and landing, they even offered to supply and fit it too! About United Carpets & Beds. 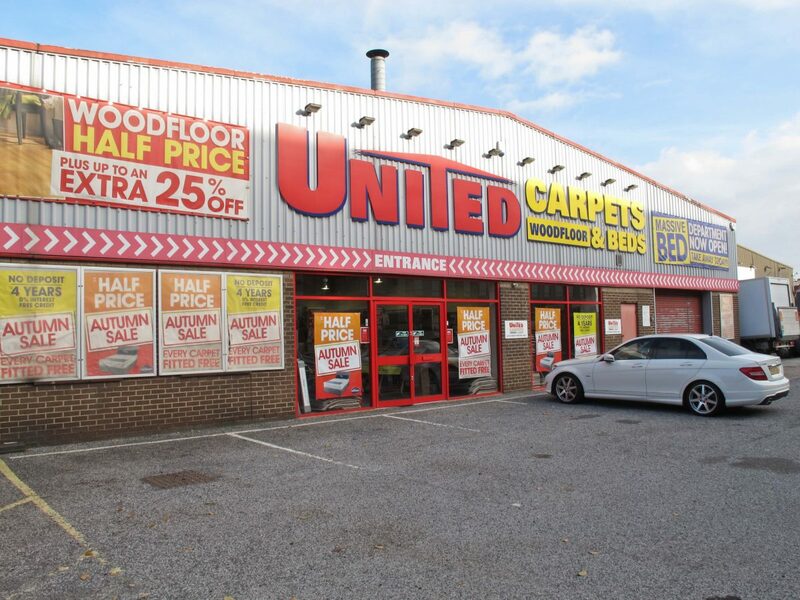 United Carpets & Beds is the UK’s largest franchised carpet and bed retailer, with more than 50 franchised retailers across the north of England, Midlands and Cardiff. There’s also an online store where you can shop for flooring, beds, mattresses and accessories. 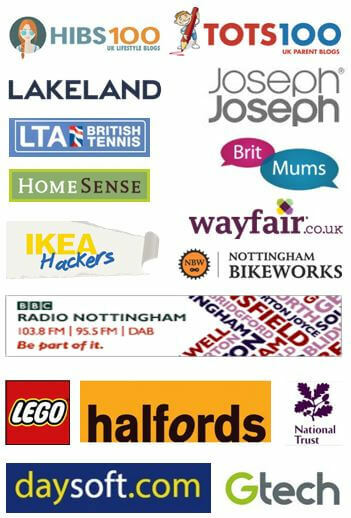 Plus, the United Carpets & Beds website is packed with useful advice and tips for anyone thinking of buying a carpet, wood flooring or laminate. Our United Carpets & Beds experience. a) FREE carpet measuring service. 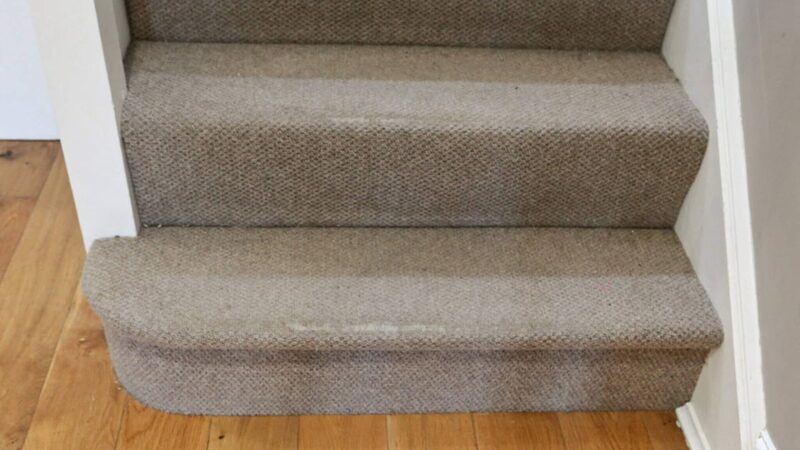 Measuring carpets for stairs and landings isn’t as simple as measuring a carpet for your living room. It’s even more complicated if you have a turn in your staircase like we do. That’s why I was happy for United Carpets & Beds, Nottingham, to send Shane, an experienced member of their team, to do the measuring for me. While he was with me, I took the opportunity to test his knowledge by asking his advice about choosing carpet and underlay for stairs. Shane has worked in the carpet industry for years, and certainly knew his stuff. 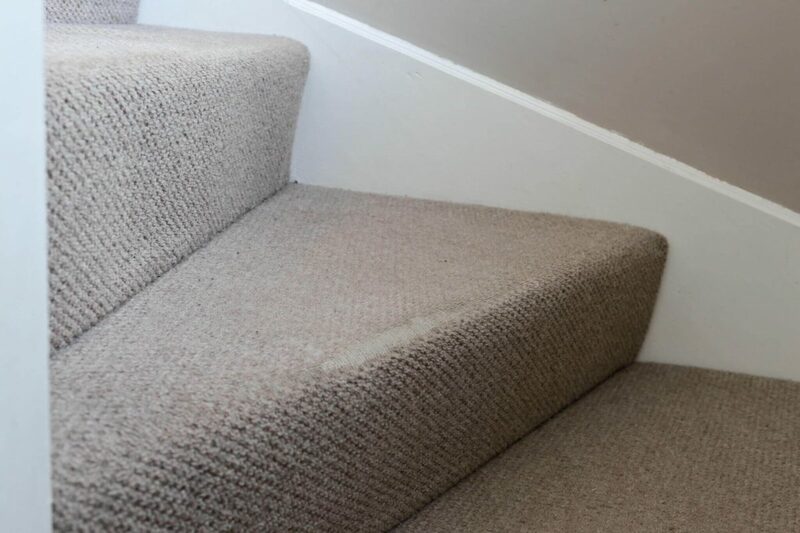 As well as recommending a short, dense twist pile in an 80/20 wool mix or 100% polypropylene carpet to replace our threadbare 100% wool loop carpet, he stressed the importance of a good underlay for the stairs. He suggested a dense, crumb-style underlay. Whilst it isn’t as springy as the foam underlay used for living rooms and dining rooms, its density and durability lengthens the life of the carpet on high footfall areas, particularly in vulnerable areas like the nose of stairs. Surprisingly, he also advised buying new gripper rods and not using the existing ones. 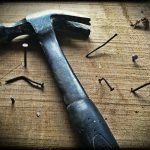 This is because the spikes on old grippers tend to be blunt, which can cause the carpet to move and shift, which can affect lifespan and performance. Armed with the measurements and Shane’s tips, I headed off to my local United Carpets & Beds store to pick up some more tips and select my new carpet. 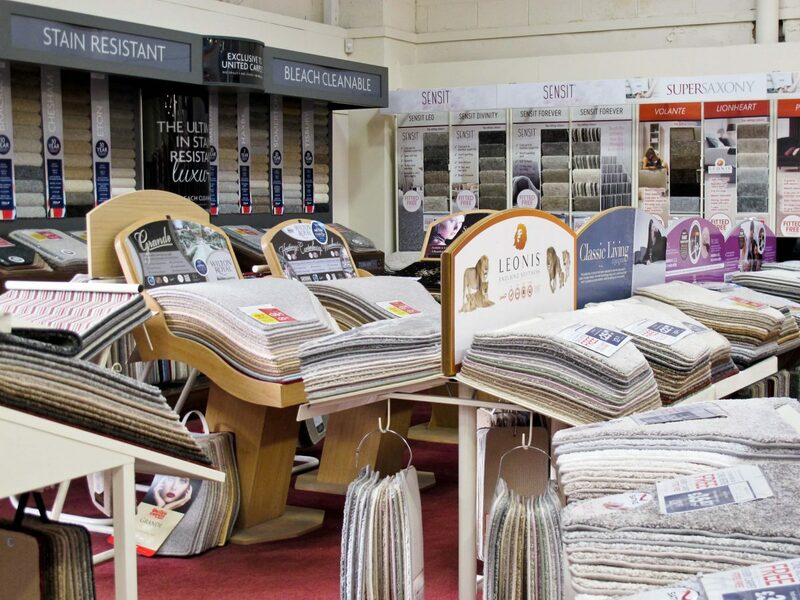 Our local branch has hundreds of carpets to choose from at prices to suit every budget. They don’t just sell carpets, either. They offer other flooring options, including laminate, vinyl, rugs and artificial grass. Plus, if you’re planning a cost-effective home renovation, they also sell beds, mattresses and accessories. 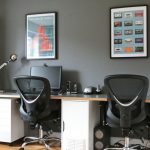 Before being tempted to rush into choosing a carpet based on colour and texture again, I decided to see what other tips I could pick up from Shaun, the store manager. He backed up Shane’s advice, reiterating the importance of a good, dense underlay. He recommended the Treadmore crumb-style underlay. 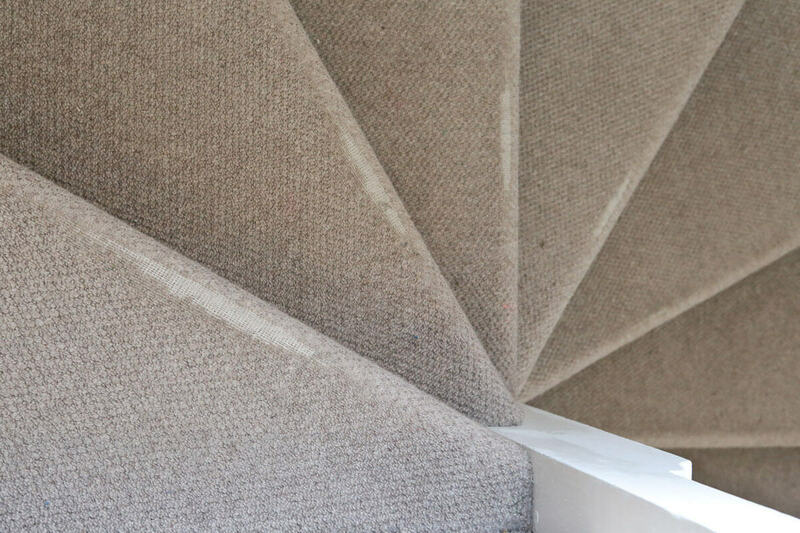 He also confirmed that wool blend carpets and 100% polyproplyene ones with a short, dense twist pile would be a good choice for stairs and landings. Although wool carpets are natural and some prefer the look and feel of them, today’s polypropylene carpets are strong contenders, too. Nowadays, good quality polypropylene carpets look great, are hard-wearing, and many of them are stain resistant. You can even clean some of them with bleach. Shaun showed me around the store and pointed out the carpet ranges and styles which would be suitable for high footfall areas. c) Making an informed choice. I found two different ranges of carpets, one a wool blend, the other 100% polyproplyene. I was able to borrow the swatch books to help me to choose a shade of carpet to compliment the colour on our walls. If swatch books aren’t available, you can order up to four FREE carpet swatches in store or online. 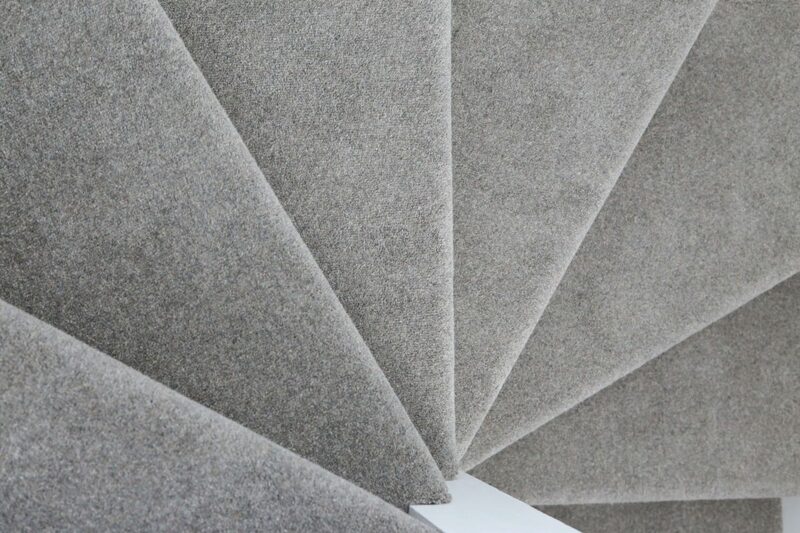 Although I liked some of the 100% polypropylene carpets, I selected a gorgeous 80/20 wool blend twist pile carpet. The Lakeside Twist Collection is a British made carpet, available in 16 plain colours and 2 stripes, 4m and 5m widths and 3 weights, 40oz, 50oz and 60oz. I chose Pewter, a beautiful grey/brown carpet, in the dense luxurious 60oz weight. 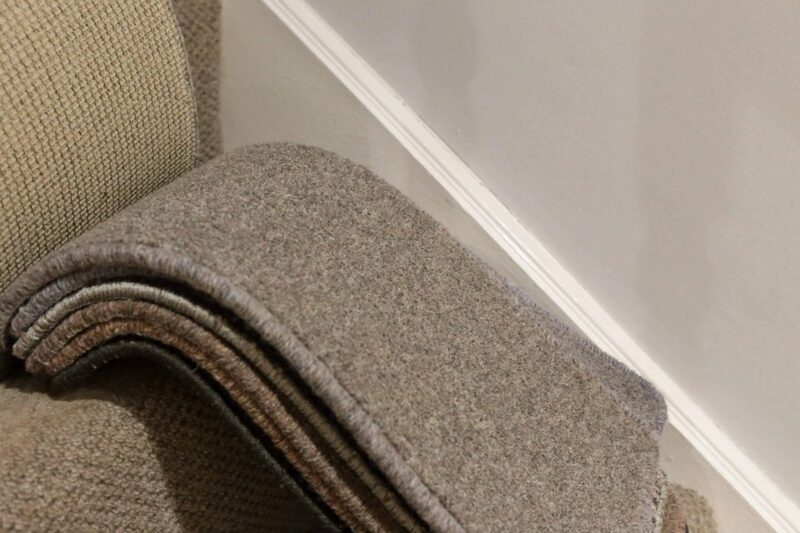 The Lakeland twist collection is a hard-wearing carpet, which is suitable for high traffic areas, as denoted by the hall/stairs icon on the label. Once I’d chosen our carpet and underlay, I booked a fitting date, opting for the first fit appointment. This is the only slot with where they can guarantee the arrival time, (between 9-10am). United Carpets & Beds offer free fitting on all their carpets. If you want them to dispose of the old carpet for you, there is a charge. We disposed of the carpet ourselves, taking the opportunity to paint our walls and skirting boards prior to our fitting date. When they arrived, our two fitters asked me to check it was the correct carpet. 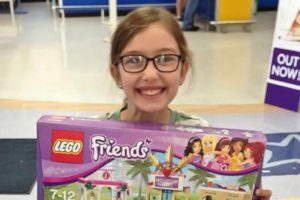 You might not think it but this is an important step! I can still remember mum bursting into tears when she discovered the fitters had installed a purple carpet in our bathroom, rather than a chocolate-brown one – which begs two questions: 1. Why carpet a bathroom? 2. Is chocolate-brown any better than purple? Thankfully, the carpet they showed me was the correct shade and range, so I was happy for them to go ahead with the installation. It took the fitters about an hour to install new gripper rods, underlay and carpet. Not bad, considering our staircase has a turn in it. They tidied up as well, putting all the offcuts and rubbish in a couple of bin bags. We’re delighted with our gorgeous new twist pile carpet. It looks absolutely stunning! 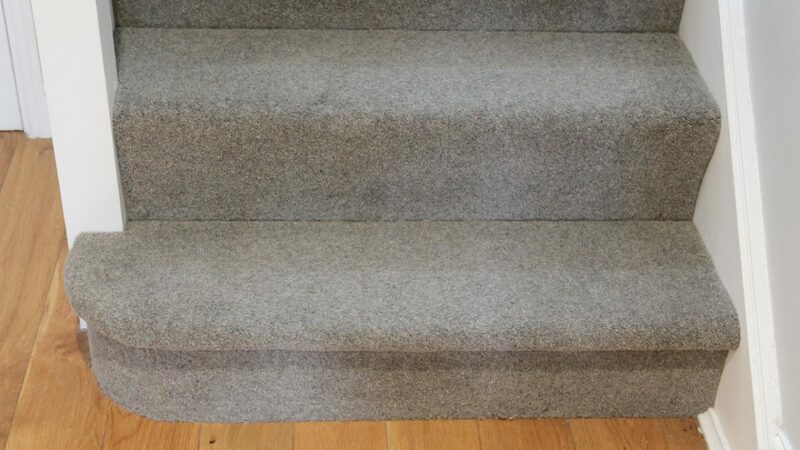 After years of making do with a threadbare carpet, our stairs and landing have been transformed. Plus, even though we needed a durable crumb underlay, our new carpet still feels luxurious and soft. We can tell because as well as following all of United Carpets and Beds carpet-buying tips, we’ve followed their advice about caring for our carpet and have adopted a strict ‘no-shoe’ policy. After all, even though we’ve chosen a hard-wearing carpet and underlay, it’s important we look after it with regular vacuuming and cleaning and by leaving our shoes downstairs! 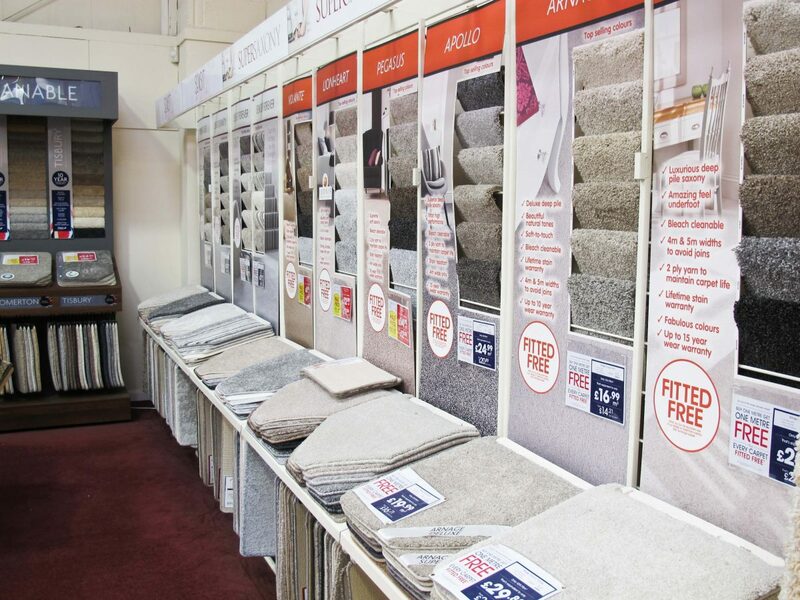 Choosing the perfect carpet and underlay for your home. If you’re thinking of buying a carpet and underlay for your hall, stairs and landing, check out my video. 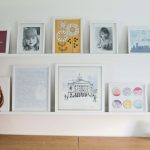 I share my own carpet-buying adventures and list United Carpet’s top tips for choosing a hard-wearing carpet for the high footfall areas in your home. Top 10 tips for choosing carpets for high-traffic areas. I’ve created a handy infographic, based on United Carpets & Beds’ top tips for choosing carpets for the high traffic areas. Why not pin it so you have it ready for your next carpet purchase? Were you aware of all the things you need to consider when choosing a carpet for high traffic areas? 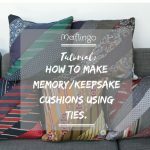 What do you think of United Carpets & Beds’ Top 10 tips? Have you got any carpet buying successes or failures? If you’re looking for more tips and advice on carpets, floorings and more, then check out the United Carpets and Beds Advice Page today. This is a collaborative post. United Carpets & Beds supplied and fitted a carpet for the purposes of this review. As always, all opinions are my own honest assessment. 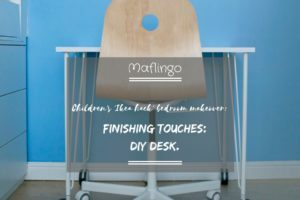 We've added some finishing touches to our Children's Ikea Hack bedroom makeover with our DIY MDF desk and Ikea Swivel Chair. Wow it looks fantastic! 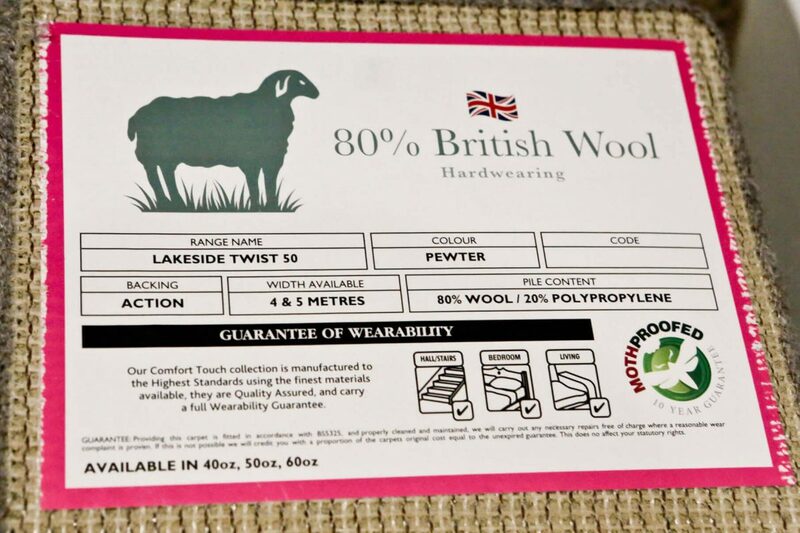 Really interesting that 100% wool isn’t the best option for high traffic areas, we desperately need to replace our lounge carpet which gets lots of wear and tear so I know what to look for now! Thanks very much, Jen! Really delighted with it. Well I now know what kind of carpet I need for my new house. Really informative post and that carpet looks fantastic! Ah, thanks Emma! Third time lucky for me! 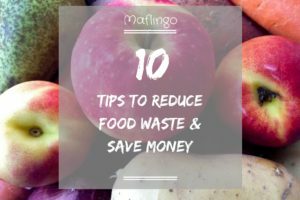 Hopefully these tips will mean you’ll choose a carpet which will last you for years and years! 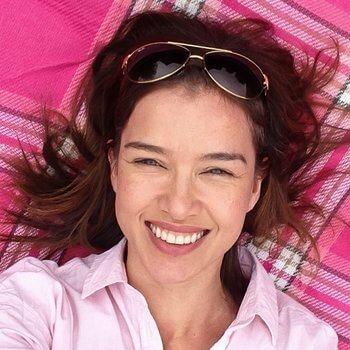 I love your choice and there are some brilliant tips here – thanks! I shall keep United Carpets in mind for our next carpet purchase. There are a ton of things to take into consideration in order to make sure you’re choosing the right carpet, especially when you have kids. I find it particularly helpful that the article uses part of their infographic to remind parents about stains. After all, if you’ve got a bunch of little kids you’ll want to make sure the carpet has built-in stain resistance.